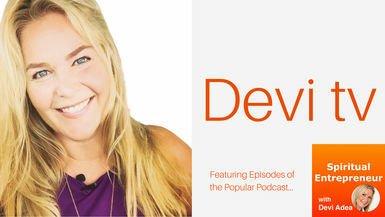 In this episode, Devi chats with Charlie Adams about her experience creating a business during the early days of female spiritual entrepreneurship and raising sensitive children. Charlie was one of the very early female spiritual entrepreneur trailblazers. She created a Virtual Assistant business in the 1980s before VAs were a thing. Charlie ran her own business for over 25 years and helped other aspiring entrepreneurs to set up their own home based businesses. During her entrepreneurial career, she has been listed in the ranks of the top female executive in the industry and she has been a mother to two spiritually guided children. She is my very favorite expert on raising sensitive children and on what it takes to be a female spiritual entrepreneur and trusting in your inner gifts to guide you in the work that you do in the world. Today, she works in the real estate industry and can guide you to your perfect realtor. She has been one of my first and most important spiritual teachers in life because she is also my mother. The Spiritual Principle of "Oneness"
What Feelings Do You Feel by Devi Adea and Illustrated by Chrissy Welter? Charlie is a licensed Real Estate Agent with Metro Referral Associates in DC, MD, and VA and can help you to find a great realtor for your next home purchase or sale.